I recently picked up a new camera – so new that I ran into a slight problem: my computer’s software doesn’t have the ability to read the camera’s raw output – fortunately I can still take JPGs and the default settings have been fantastic. The Shard, Europe’s tallest building. A Misty Friday in Berlin. There’s construction near my office — and today I looked in the hole and saw wiring. In Alexanderplatz there are quite a few One-Man Bratwurst vendors — today 1.35€ per bratwurst. Berlin’s famous Fernsehturm was shrouded in low lying clouds this afternoon. Probably not the best afternoon to go up the tower. Passing an empty playground, I discovered all these autos lined up. The air was filled with things that fly! 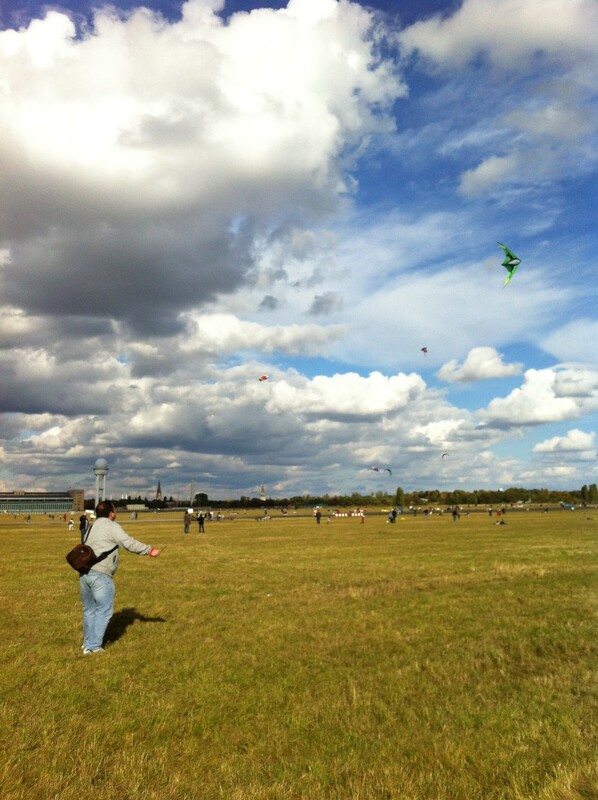 After a busy morning that involved lots of reading, I headed over to Templehof – once an airport, today a park. A very cool flying bat! I’ve overscheduled myself this past week with something going on every day after work – whether going to the gym (Tuesday and Thursday) or hosting a friend overnight Friday evening. I’ve now even hired a maid, who came for the first time Wednesday. I’ve also had other things going on in my free-time. I’ve been too busy to tell you about my weekend in Amsterdam! In the hustle and bustle of the last week (in the last week, between the pointless physical therapy and other meetings, I had stuff to do every afternoon after work) I forgot (not really) about my trip to Amsterdam last weekend.